“Big Data is completely transforming how companies drive their decision making, but many nonprofit organizations are unprepared to make the most of this opportunity. Nonprofit organizations are vital to making meaningful change in the world and they have significant amounts of untapped potential in their data. Unfortunately, many nonprofits lack the strategies, skills, and guidance to make better engagement, fundraising, advocacy, and program decisions based on their data. Data driven nonprofits accelerate change in the world when staff use data to influence strategy and inform decisions that produce value and impact. Author Steve MacLaughlin is a respected nonprofit industry, fundraising, and online giving expert. 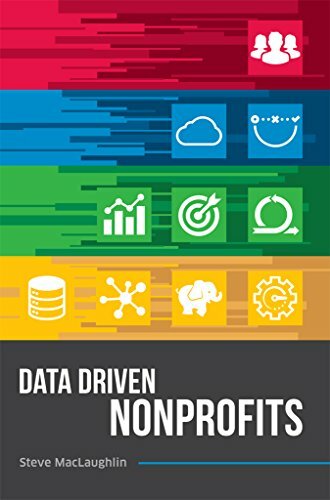 He explores how data driven nonprofits are shaping the world and what makes them successful.